Perched on a side of the ancient crater of the volcano, it is the town of the blue and white… the colours of the sky. Fira or Thira is the chieftown of the island of Santorini. The name has two possible origins. Maybe it comes from the ancient name of the island or from the adjective fyrros, that it means “reddish” in the local dialect. 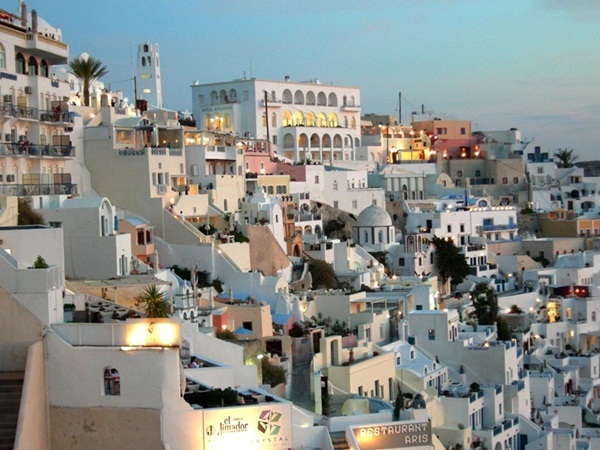 It is situated at the centre of Santorini on the western side at 260 meters above sea level. 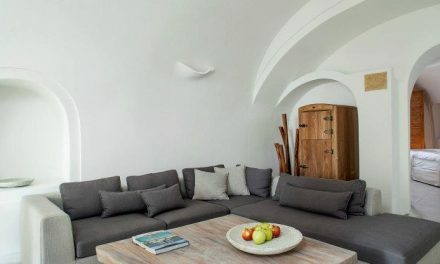 It offers an uncomparable scenary formed by a cliff that drops away together with houses in the typical architectural style of Cyclades, that is using white colour with blue domes. By now this buildings can be considered as Santorini symbol. 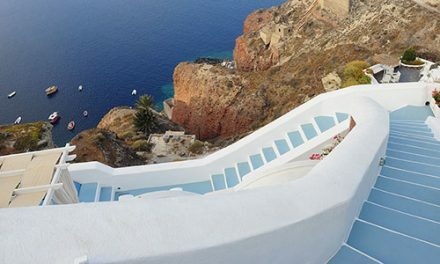 Besides you have to not miss the view over the caldera ring of the volcano Thera, that Santorini give as a gift to their guests. In 1965 a dreadful heartquake hit Santorini and the island was devastated remaining only few houses of 18th century. It is one of the main destinations of tourists arriving to the island. 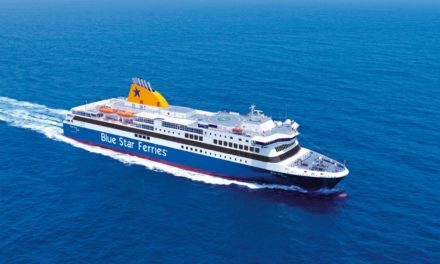 In fact, as it welcomes the most part of the tourists arriving to Santorini, it is become the hub of the island transport. Strolling along the narrow track you will discover a lots of little shop, restaurants, bars and discos. In the evenings of the high season the tracks become so crowded of tourists and locals. The best moment to discover what they hide is the dusk, after a day spent sunbathing… of course! If you enter in Fira from the port you have to go up for 587 winding steps to get the real town centre. If you are not fitted so much, you can opt for a little donkey who will carry you up to the top. If you are not fitted and you are also an animalist, you have to get on the cableway built in 1980. An other excursion from Fira is the visit to the village of Firostefani, that represents its extension.